Things to make and do. 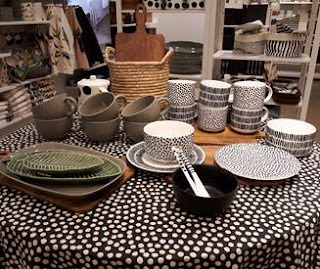 I chose this week's theme at City Crafter, using a photo I took in a big London branch of an international chain store. 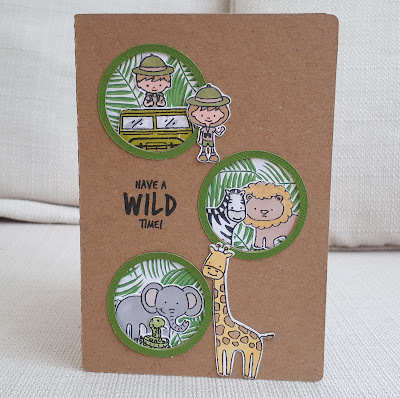 My card isn't the one I originally intended to make - I knew I had some animal print paper that I've had for ages and I wanted to use it up- but after an extensive search failed to find it, I made this card instead. I used a safari set from Hunkydory. Guess what? Once I'd stopped looking for the papers they turned up! Please come and join in at City Crafter. A super challenge and a brilliant card Marina! Oh, so cute with the animals! Great design, too! So Cute! 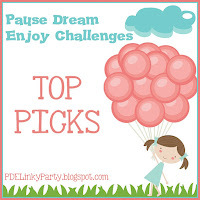 Thanks for sharing with us at Pause Dream Enjoy Challenges. Eine tolle Karte. Danke daß du bei den Animal Friends mitmachst. Oh my goodness, Marina. I have had that happen with supplies more than once! I love your cute safari card! Ha! "Failed to find it". That could be a page outta my life. Love your circles design. Love that photo too. Thank you for joining us at the Animal Friends. My life isn’t perfect, but if I squint at it in a certain light, I can make it seem so..... I am a teacher in a further education college. I live with my partner and we have an 11 year old son. I also have a grown up daughter and two grandsons aged 13 and 8. I have fantastic friends and family. I know I am very , very lucky!